Nothing says 'healthy' like soft skin and a shiny coat. 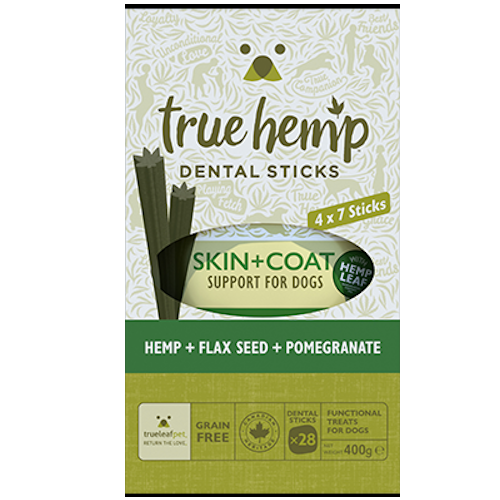 This formulation contains a blend of ingredients in a dental stick format to help keep teeth clean and also supply Omega 3 fatty acids which play a critical role in normal skin function and appearance. 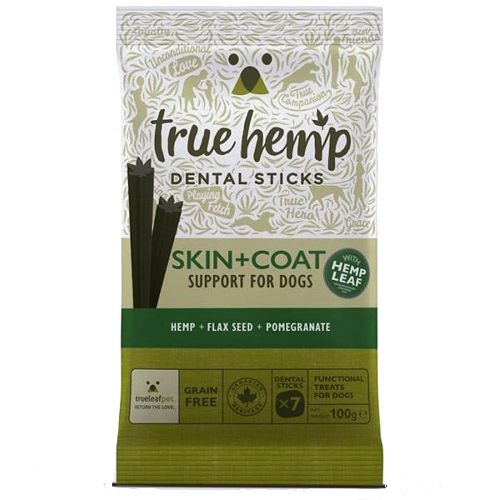 Excellent dental sticks without any of the nasty ingredients that are in a lot of the dental sticks. My Golden Retriever is nearly 13 years and really enjoys the dental sticks and so good for his teeth. 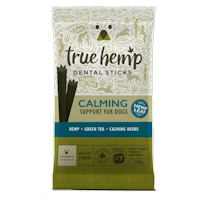 He has just started the Hip and Joint Support Dental sticks, which he really enjoys too, which I know will help with his joints. 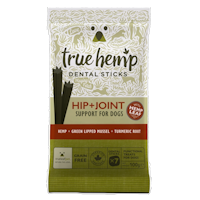 True Hemp Hip and Joint support dental sticks for dogs, with hemp, green lipped mussel and turmeric root.